Project reports allow teams to generate reports based on the current status of the project. Generally, reports can be generated in either PDF or HTML format. 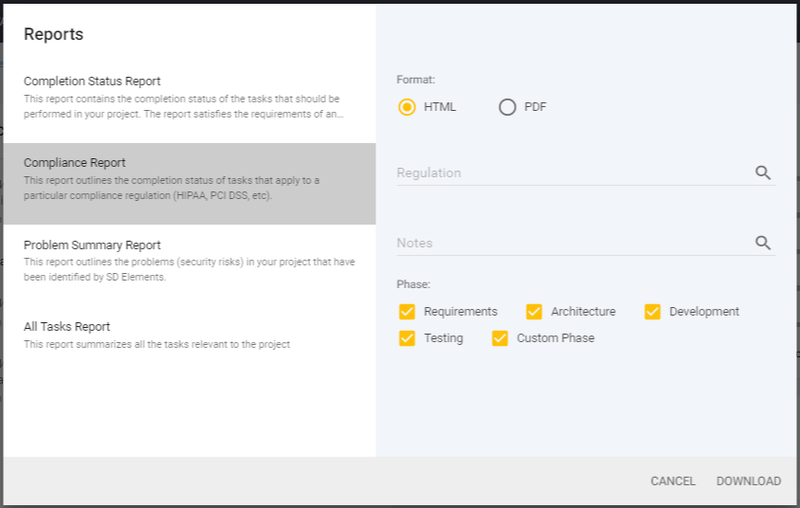 SD Elements supports custom project reports. Contact support@sdelements.com for more information about this capability and whether it applies to your instance. To generate a project report follow the steps below. Select a report from the list. Provide the required filter for the report. The report is exported in the selected format.